Pearls make for wonderfully classic pieces of jewellery with timeless charm and alluring luminescence. Whether a string of pearls wrapped around the neck or subtle pearl earring studs pinned neatly to the ear, pearl jewellery never goes out of fashion. But how much do you really know about these beautiful little spheres? In fact, pearls are not always spherical. Rice pearls, cultured in China on a large scale and extremely popular in the 1980s and 90s, are called so because of their elongated shape. Prized natural baroque pearls too are not round but irregularly shaped. These are considered to be some of the best pearls in the world and they are extremely valuable for their uniqueness. Let’s take a closer look at the different types of pearls with which you can beautifully adorn yourself with. Natural pearls are the result of a foreign body getting into an oyster, which then coats this body in layers of nacre (calcium carbonate) to make it smooth, forming what we know as a pearl. 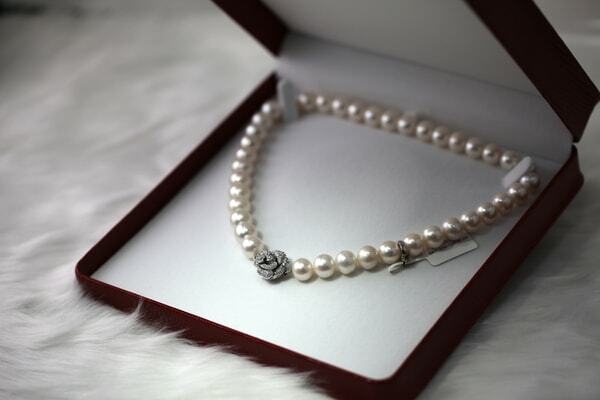 Natural pearls are very rare and thus very expensive. Once the pearls are procured, matching each to others for the same sizes and colours is extremely tough as no two natural pearls are alike. This is why natural pearl jewels can command such high prices in the market and are generally unaffordable to most people looking to buy pearl jewellery. Cultured pearls follow the same concept of natural pearls, except here the foreign body is inserted into the oyster, forcing nacre formation around it and producing a pearl. There are two broad types of cultured pearls. These are freshwater pearls and saltwater pearls. The former type of farmed in man-made water bodies in China. Akoya, Tahitian, and South Sea pearls are all saltwater pearls. These are grown all over the world in places such as man-made ponds, atolls and bays. Beautiful, accessible and affordable, we take a deeper look into the different types of cultured pearls. The quintessential pearl. 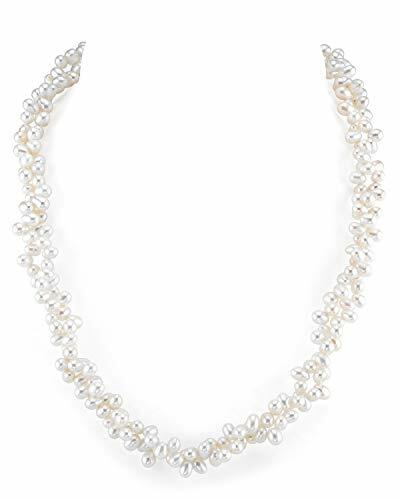 Think or a string of pearls on a necklace – Akoya Pearls are those perfect spheres strung one after another. These pearls are a bright, luminescent white in colour. Cultured off the coast of Japan, these round beauties do also come in other varied shapes and non-white hues such as blueish silver and gold-tinted, although these cases are rare. 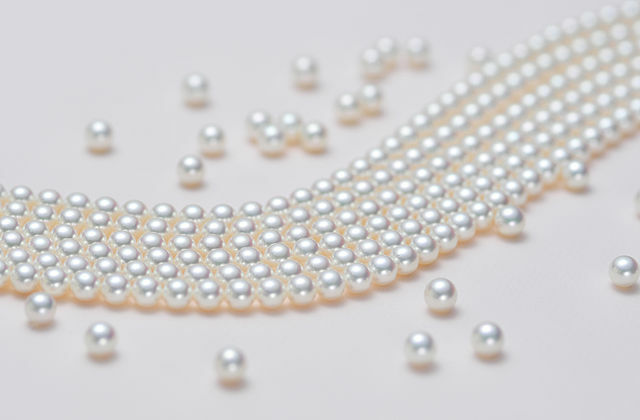 Akoya Pearls are cultured, which means they are man-made, making them quite affordable. These pearls are also available in black if treated. 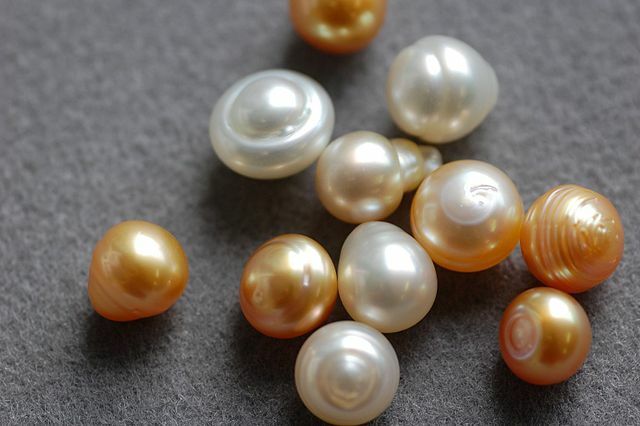 Their size ranges from 4mm to 10mm, with those pearls larger than 10mm being rare and valuable. While Akoya Pearls are treated for a dark tone, beautiful Tahitian pearls have a natural dark hue that is deep, rich and attractive. 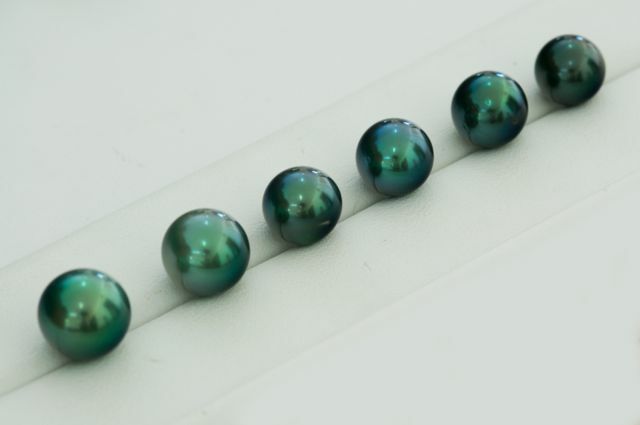 These pearls are grown in French Polynesia and while they are often called ‘black pearls’, their colour is a rainbow of tones such as browns, purples, blues, greys and greens. Tahitian pearls are more expensive than Akoya pearls, especially perfectly round specimens, which are very rare. Their size are generally in the range of 8mm to 15mm. South Sea Pearls most commonly comes in tones ranging from white to gold. They’re known for their large sizes and are mostly farmed in Australia, Indonesia and the Philippines. South Sea Pearls are saltwater pearls that occur in shapes such as drops, ovals and irregular shapes. All South Sea Pearls are valuable and sought after, however, perfectly round ones are rare and therefore extremely valuable, and pricey. These pearls are usually between the sizes of 10mm to 14mm, which makes them the perfect choice for striking statement jewellery. Freshwater pearls come in a variety of shapes and colours. Their size ranges from 5mm to 12mm – however, you do also get them in much larger sizes, though this is uncommon. The colours are often soft pastel shades, with some exceptions being highly metallic colours. Freshwater pearls are popular because they are affordable and their pretty colours are versatile when it comes to creating all kinds of beautiful jewellery. These pearls have much lower prices than Akoya and South Sea pearls because of the high rates of production – each mollusk can make dozens of pearls, whereas others may only make one per oyster. Names because they are farmed in Kurasu mussels, these pearls are unique in that each is shaped like a grain of rice. These pearls are produced heavily in China and use very popular a few decades ago. Their colours are usually white to cream tones but they are sometimes dyed in dramatic hues to make bold pieces of jewellery. First, set your budget. This is the single most important aspect that will determine the range and quality of pearls you can purchase. Choose between freshwater and saltwater. Freshwater is generally cheaper than saltwater pearls but good quality freshwater pearls can also command high prices. There is no standard grading system or certification when it comes to pearls. Tahitian pearls are graded by the government of French Polynesia, but this is an exception. Ask about the luster, shape and colour details from the company you are buying from and also question their personal grading system to get a better idea of your potential purchase. For information on how to best maintain pearl jewellery, read our guide on cleaning and taking care of pearl jewels. Pearls are a great asset to your jewellery collection and make a fabulous add-on to almost any outfit, formal or casual. But, as with any pricey purchase, being informed can help you make the best decision on what to buy – one you won’t regret in the future. Never knew there were so many types of pearls. Thanks for the info! This is an excellent post, just wanted to know where can I learn how to clean cultured pearls at home?